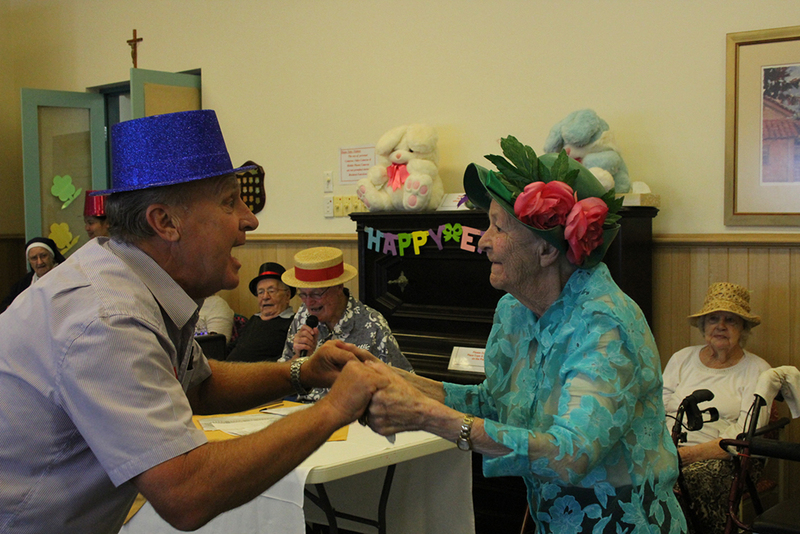 The Easter celebration on Wednesday the 28th March was an amazing afternoon attended by a substantial group of residents, families and friends. 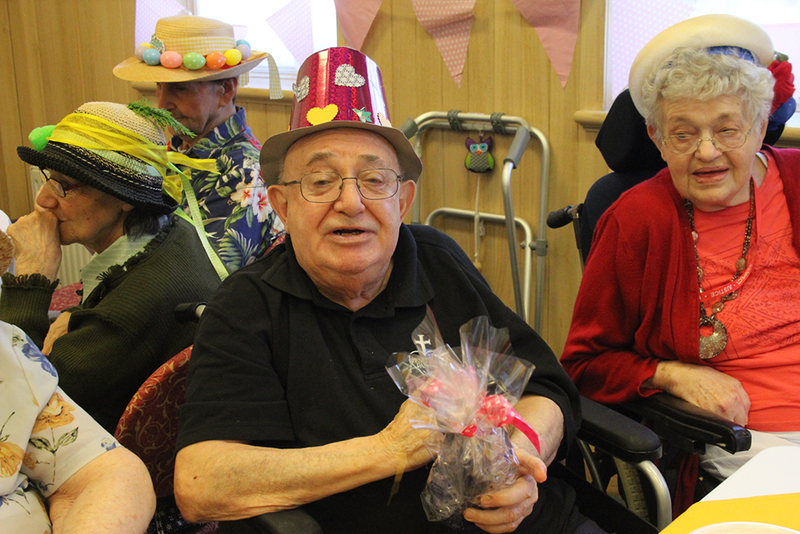 The Wellbeing and Lifestyle Department provided a variety of colourful Easter hats for the residents to wear. 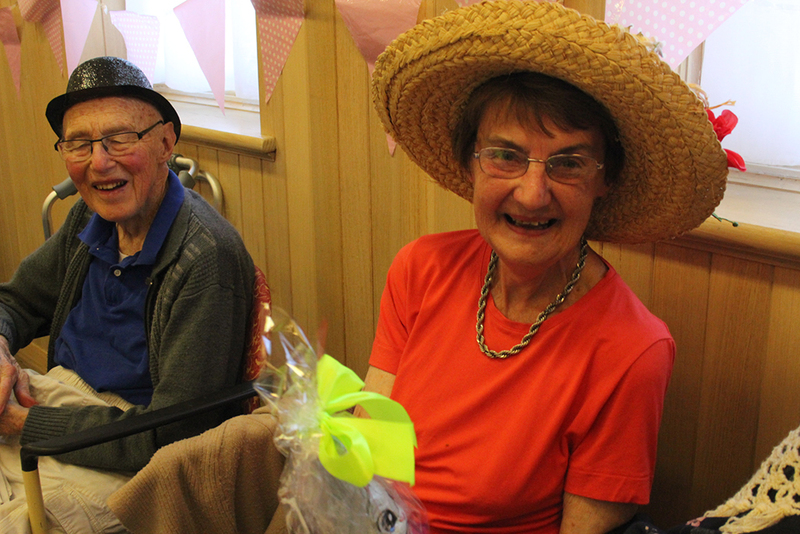 Prizes were awarded for the Most Creative Hat for Women won by Mrs. Joan Adamson from Holy Family. 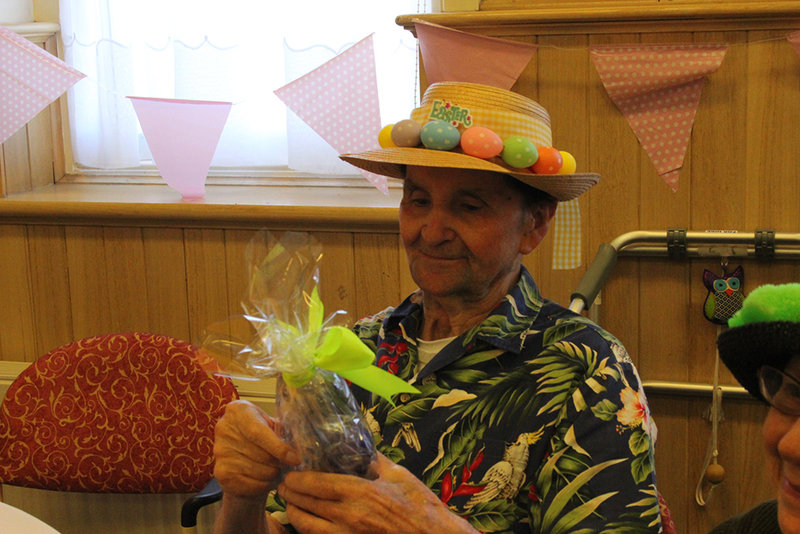 Most Creative Hat for Men won by Mr. Eugenio Cattapan from Holy Family. 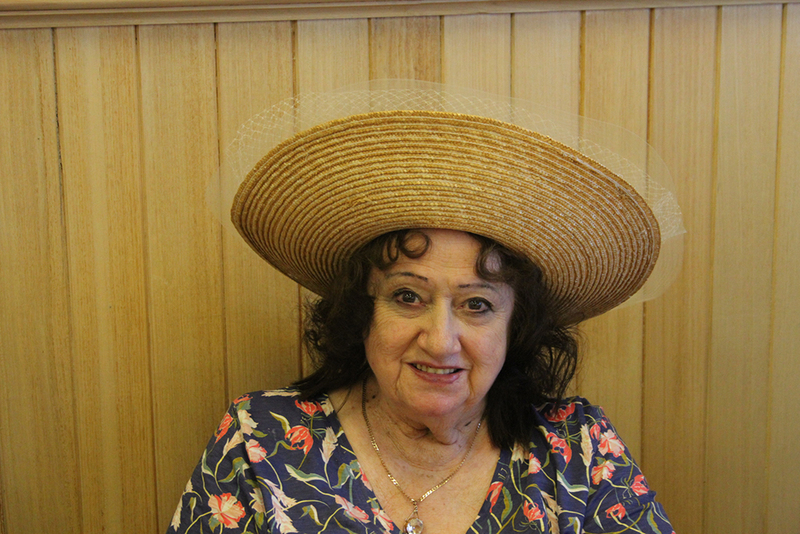 Best Creative Hat won by Mrs. Valma Hayes from St. Michael’s. 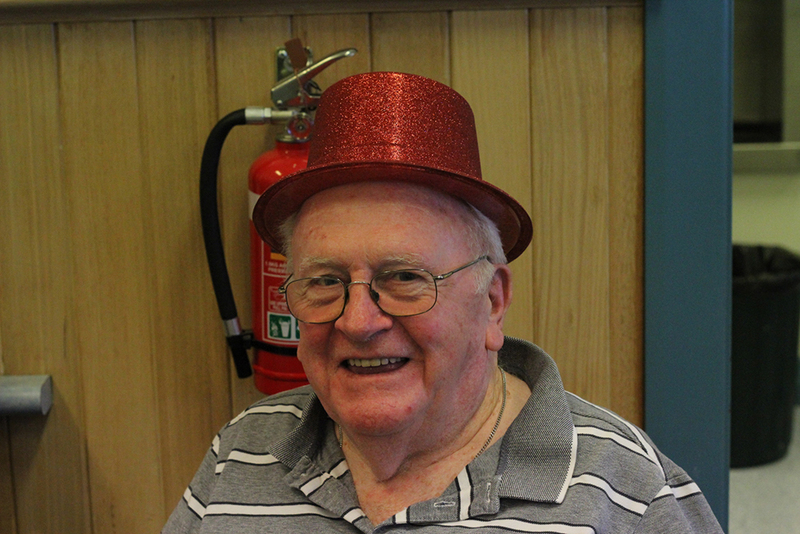 Funniest Hat won by Brother Charlie from St. Michael’s. 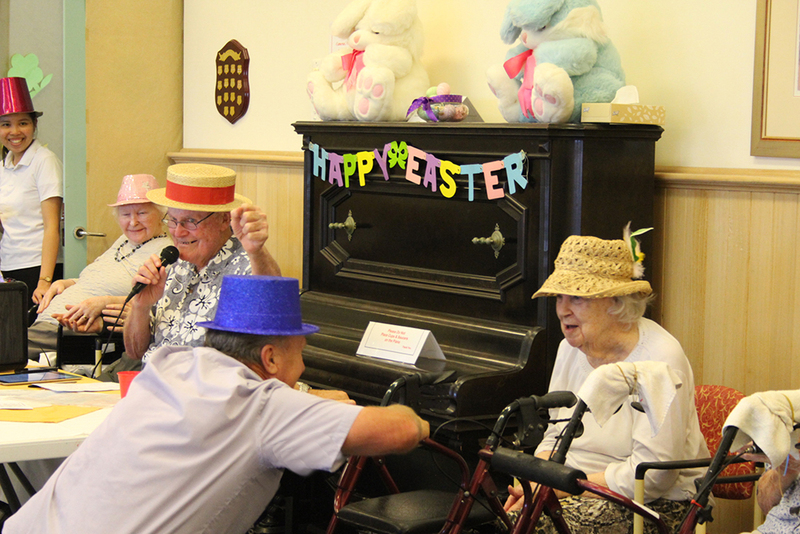 The celebration was held in the Jacaranda room and decorated with symbols of Easter. 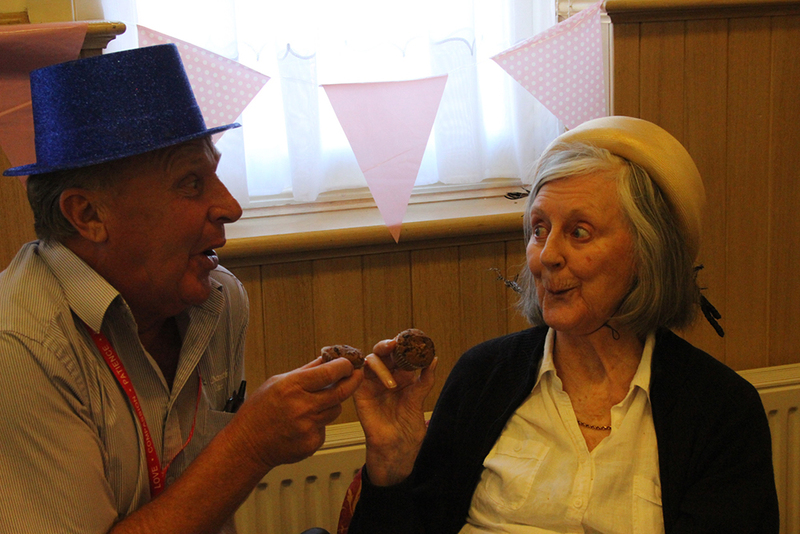 The Nazareth Care Catering team prepared a selection of small cakes, fruit and cheese platters for afternoon tea that were enjoyed and appreciated by all. 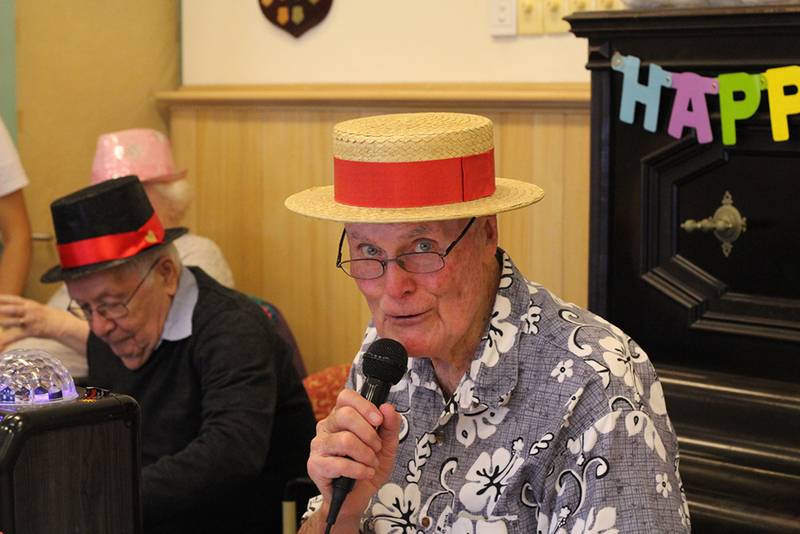 Our volunteer Mr. David Murray was in charge of the entertainment with a good selection of music appropriate for the occasion. 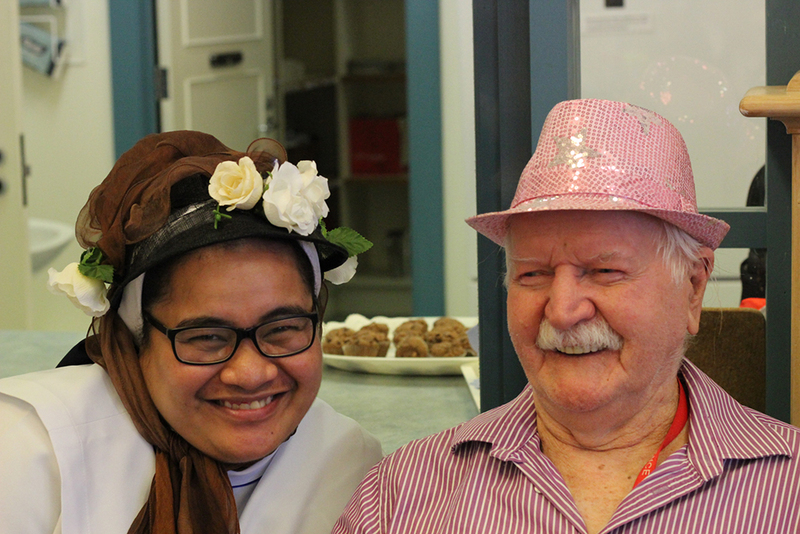 The Wellbeing and Lifestyle Department also had the collaboration of three year 11 students from Xavier College who were on Community Service placement.